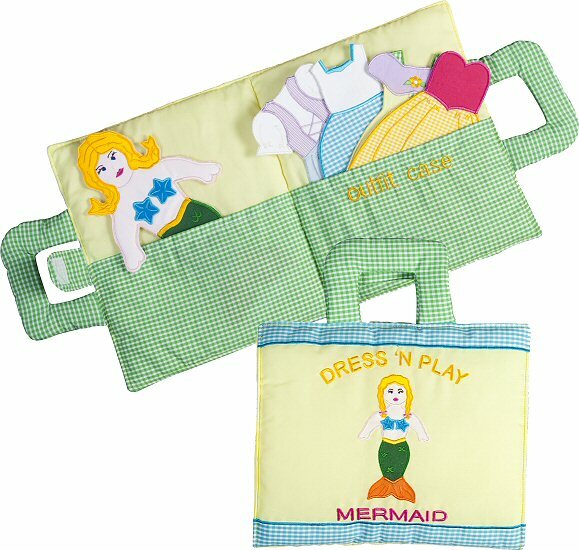 This fun Mermaid Dress 'N Play isn't your typical cloth activity book as you'll soon see when you take a peek inside. The book itself, softly padded colorful fabric of yellow, and blue and green gingham with detailed embroidery, is actually a carrying case. Simply open the Velcro-style tab and you'll find not only a sweet mermaid doll, but four beautiful outfits for her to wear as well. 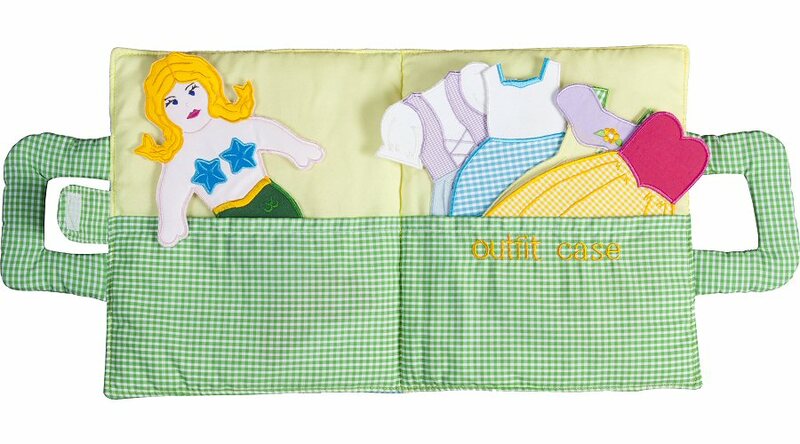 The pretty blond mermaid fabric doll, complete with stand that tucks into her back, has light pink skin, turquoise starfish top, and green and orange mermaid tail all featuring beautiful embroidered details. In the tradition of paper dolls, but with the durability of fabrics and the ease of dressing with Velcro-style attaching, the four stylish dresses transform your mermaid doll as she lives her life on land as well as sea. 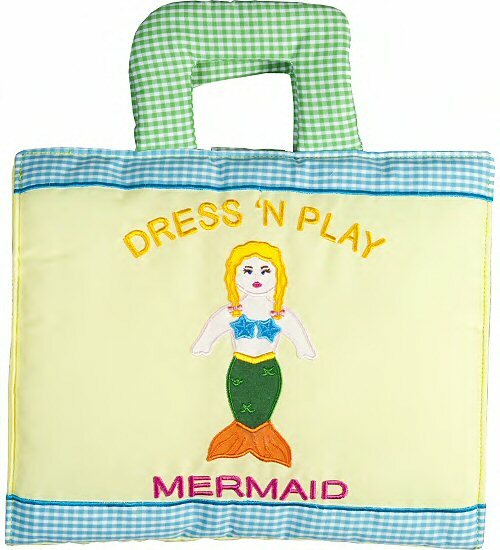 This Mermaid Dress 'N Play set is also great for travel and will spark hours of imaginative play whether at home, in the car, or at Grandma's house.